A polka dotted heart onesie from AnnLoren brings out an aesthetic flair. The short sleeved cotton knit bodysuit has snaps in crotch. 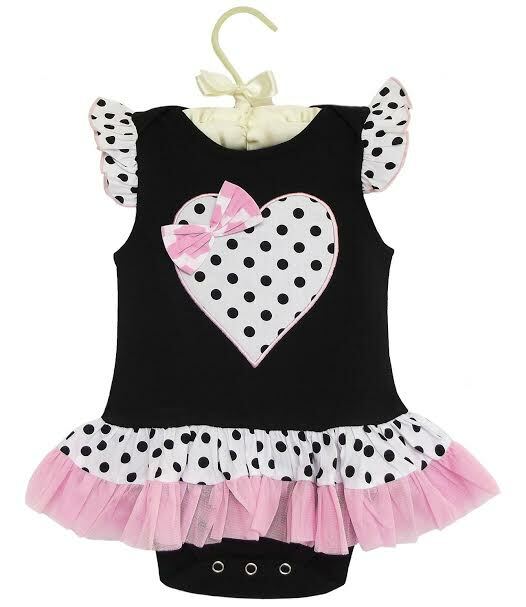 The onesie features polka dotted heart applique and coordinating polka dotted and tulle trim. Comfortable and stylish, it combines quality material 100% cotton with a lovely design.